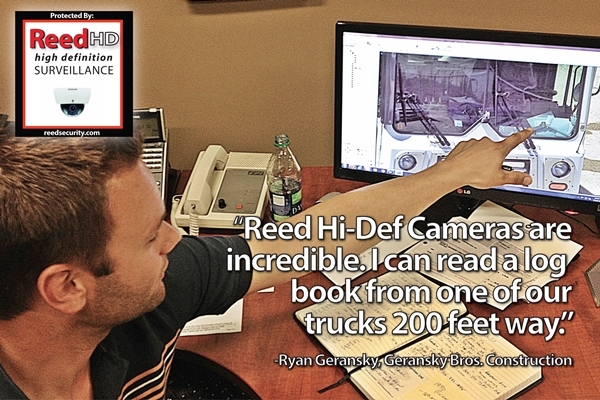 When our existing client Geransky Brothers Construction wanted to improve the quality of their standard definition camera system they partnered with Reed Security. When you watch TV - Do you like the old blurry channels or the new HD channels? "ReedHD hi-def cameras are incredible. I can read a log book on one of our trucks 200 feet away." Fires are traumatic, disruptive, and cost a lot of money. In addition to destroying property, possessions, and keepsakes - they Kill People, Pets, and Businesses. All Reed Security Burglar Alarm systems can be turned into Fire Protection Systems by adding monitored smoke sensors and heat sensors. Smoke Sensors cost anywhere from *$100 to $150 each. Your existing smoke sensors make noise to alert your family/co-workers, but they can't do anything when you are away. Reed Security monitored smoke sensors are connected to our 24/7 Monitoring Stations. When we get an alarm we immediately dispatch the Fire Department and notify your key-holders. Losses to Fire are reduced or avoided all together. 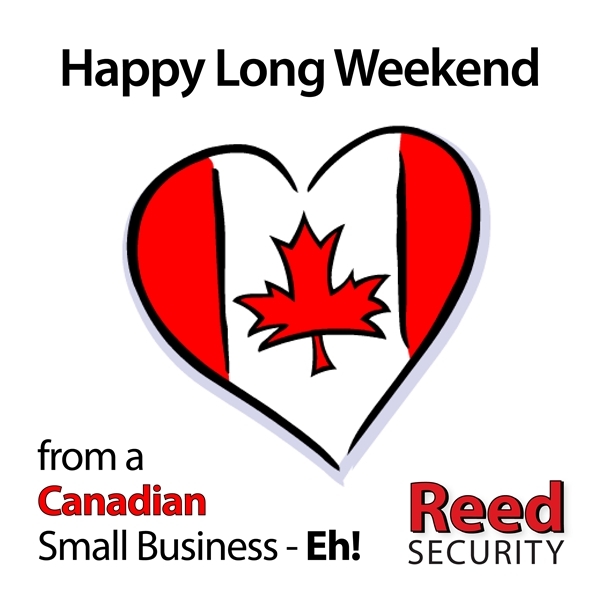 Bonus: Your Insurance Company may provide additional discounts when you have Reed Security fire protection. Typical discounts are 10% to 25%. "I often worried about a fire causing damage to our building and decided to install monitored smoke detectors. 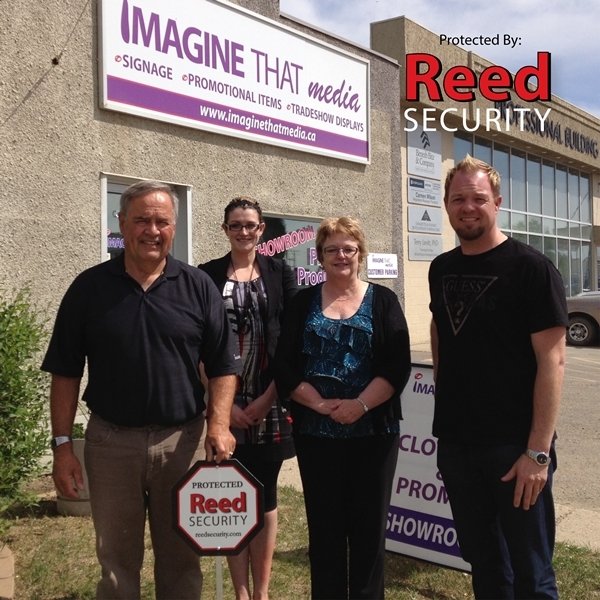 I'm So Glad We Did - Reed Security and the Saskatoon Fire Department recently saved the day."